« Day 103 in Beijing: Fantasy Football Across Two Continents. 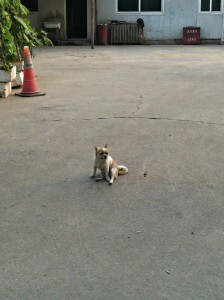 Day 104 in Beijing: Doggie Boss Mode. In Full Effect. The orange cone gives a good idea of how small the doggie was. 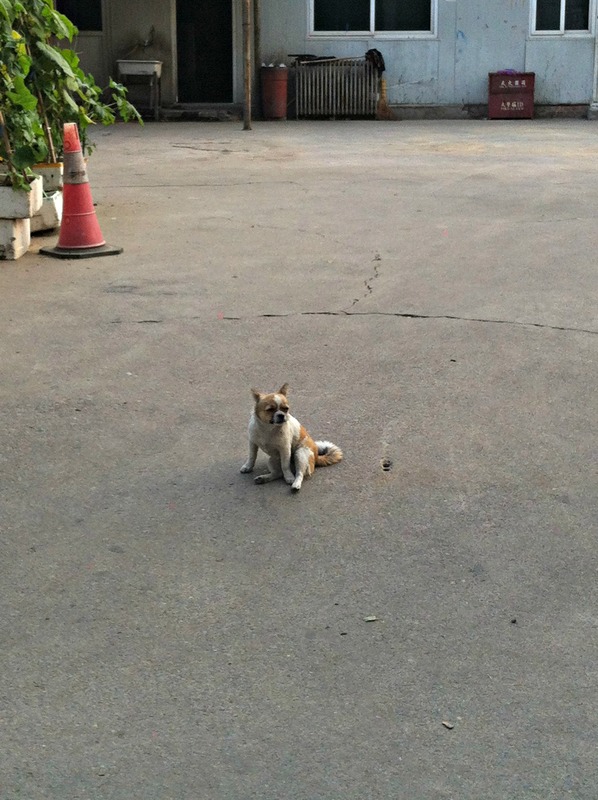 On one of my daily walks by the river, I happened to spy this dog sitting in the driveway to his hutong. I say his hutong because he owned it. He didn’t move for anyone. He didn’t even seem to notice anyone unless they got to close and then he gave them the evil eye until they left. Honestly, Elvis is thought of as the King of Cool in parts of America and Elvis wouldn’t have had anything on this little guy. By the way, he was probably about 8 inches tall, at most, but had about 6 feet worth of attitude. In full “I’m the boss” mode. The only time he changed was when his owner came out of the hutong. He immediately started playing around and wagging his tail. He actually started to nip at his owner’s back heel in affection and the owner started laughing. He became an instant puppy and, as the saying goes, man’s best friend. 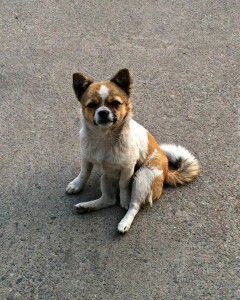 I love seeing the different dogs that are all over Beijing. People just seem to love them and they love their owners. It was a perfect way to end the walk.